ThinkingKap offers customized consulting services to organizations both domestic and international. Whether your organization lacks an in-house training department or you are simply looking to tap an external expert to help strategize the best curriculum solutions and create training programs, ThinkingKap Learning can help! At the risk of making us sound old, we’ve been creating training solutions for a long time. Seen it all, done it all. One of our favorite things to do with all this experience is help mentor others. Whether you’re simply looking to tap an outside expert to help develop your eLearning strategy, to provide a new perspective on your corporate educational infrastructure or to collaborate with you about your upcoming projects, ThinkingKap offers customized consulting services to organizations of all sizes. Our input can help your existing training department maximize their effectiveness and answer the constant challenge that faces any training team: how to do more with less and deliver an effective curriculum that earns the approval of employees and management alike. We provide specialized expertise no matter your corporate education consulting needs. You see, we’re a training company that understands the same business constraints that you have developing training, because we face them every day. We understand project management, keeping up with the latest technology, and the need to watch the bottom line. This means we deliver organizational strategies that take into account the everyday realities faced by training departments. 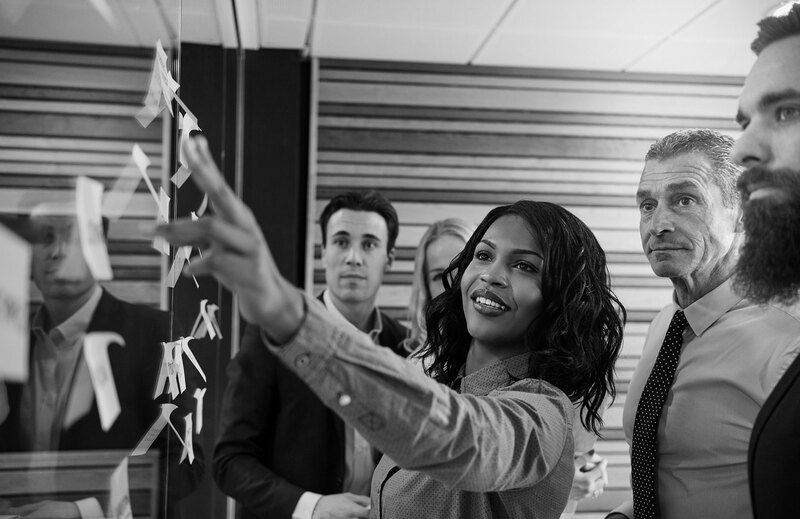 We offer guidance and experience to help your organization develop, structure and implement strategies that will help you change the way your organization produces, manages, and delivers learning programs. Our team starts by talking with you about your pain points and identifying your current learning processes and systems. From there, we determine priorities and look for where we can provide the most value in providing you with the knowledge, data, and recommendations so you can make the best decisions for your organization’s unique needs. Whether you already have stellar training and you need a hand adapting it for customized distribution, or you’re just now enhancing your training and you want help getting there, we’ve got you covered. One of our clients was frequently asked to have subject matter experts create presentations and provide workshops, so they set out to design a curriculum of eLearning courses they could sell within their industry. The demand was so great that they soon found they were in over their heads. Having suddenly found themselves in the training business, they needed help. This is where we came in. Create a curriculum architecture that presented a logical progression of courses by sectors within the industry, that they could then customize based on market demand. Define the levels of customization they would offer to their clients wanting to buy new courses, along with considerations for pricing and positioning in the market. Create eLearning design standards and document development processes and procedures. Select the right eLearning development tool that fit the needs of the courses they planned to develop and then trained them to use it. Create a newly branded creative treatment, giving their training a unique look-and-feel. They were able to take these strategies and produce outstanding, in-house training that was fully customizable for distribution. Our training consulting services helped them achieve self-sufficiency, but we didn’t just do the task and leave. ThinkingKap continues to be there for support to help them maintain focus as they implement and customize their new eLearning programs. We’re also their outsource development partner, so they throw courses they need developed over to us when they get bogged down internally. Our organization was seeking a consulting company to advise us on our eLearning strategy. We looked at a lot of eLearning consulting companies before selecting ThinkingKap. We chose ThinkingKap because of their ability to combine a strategic approach to problem solving with deep tactical experience in the eLearning industry. Other vendors we looked at were focused solely on execution. With ThinkingKap we got much more holistic support from some leading experts in the industry. They were great to work with! We offer guidance and experience to help your organization develop strategies that will help you change the way your organization delivers learning programs. Our team starts by talking with you about your pain points to identify your current needs. Then we determine priorities and look for opportunities of improvement where we can help provide added value to your unique requirements. I already have a training department, what do I need ThinkingKap for? We’d be the first to champion the advantages of a strong in-house training department. But one thing we see again and again is how much pressure training departments are under to perform and produce training that not only implements learning goals but also satisfies the demands of management and, at the same time, justifies the very existence of the training team itself. No pressure! Words like “outsourcing” might sound scary to your existing training team and are often a touchy subject. Don’t worry, we don’t want to take anyone’s job. We can back up your training team with fresh outside opinions, business solutions and outsourcing services that can free-up your training department’s bandwidth so they can accomplish more. Can you teach my organization how to design its own courses? YES! That’s part of what we do at ThinkingKap: We teach teaching. We can give you the kind of input that will set you up to take the lead in your organization and beyond. We can do workshops or one-on-one coaching. We can also audit courses and offer instructional design recommendations and suggestions for making them more interactive and engaging. Whether you want your team to learn more about creating test plans and writing test questions or helping them learn how to use Articulate Storyline, we’ve got your back. Can you help me with the budget side of training? I don’t care if my employees are bored with their training, I just want it to cost less. As for you, it turns out that cheap, generic training is a case of “penny wise, pound foolish.” You may save a little up front, only to pay dearly with lost productivity and an undertrained, and often unhappy, staff. Boring training is forgettable; that’s why standard corporate training is often repeated every year. It turns out the average trainee forgets 50% of what they learned after one hour, and 90% after one month. Investing in training increases employee’s investment in your enterprise. You get better work out of your team and you can expect fewer mistakes, mishaps and screw-ups due to ineffective training. Great training doesn’t need to be repeated nearly as often because learners retain more in an engaging course. All that said, we know quality training and a budget is always a balancing act. We can help you design a training strategy that takes into consideration your budget and the success of your learners by following our Success Principles. My senior management is asking if our training department needs to begin implementing eLearning instead of ILT. What are the questions I need to be prepared to answer? If you are new to eLearning, there are some differences in both design and implementations, but nothing you can’t overcome. We cover many of those differences in our ILT, eLearning and Blended Learning service pages. You can also check out one of our blog articles, 5 Tough Questions You Need to Be Able To Answer About Implementing eLearning. I think we’re all good in the training department, but we’d like to keep up-to-date with the latest learning trends and data. Awesome. We do too! We find it interesting when things start showing up on the internet as ‘trends’ that have really been around for years. These revivals are often a spark for a blog article or presentations like the one on Adaptive Learning we delivered at DevLearn 2016. In the meantime, you’ll find all sorts of helpful info and analysis on our blog. Do We Have the Skills to Build eLearning Internally? Great training requires great strategy. Let our consultants set your training strategy on a path for success.